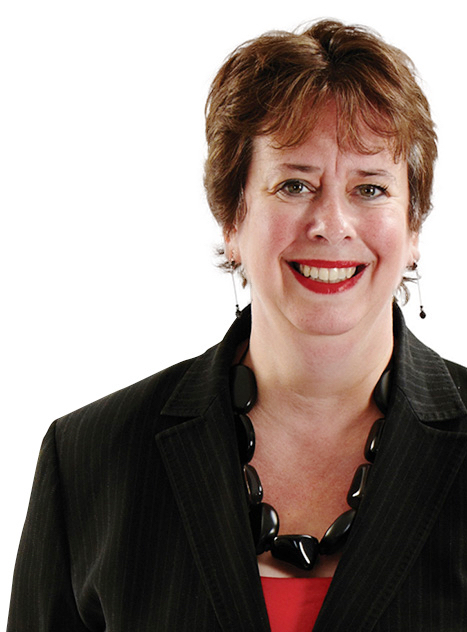 "Karen Reynolds is well respected for her 'straight-talking and likeable manner with clients'. She focuses on obstetrics, gynaecology and cerebral palsy claims." Karen has over 20 years experience of acting for Claimants in clinical negligence claims. She particularly specialises in claims involving profound brain injuries and pursues the compensation necessary to provide the clients with full support, aids and equipment and accommodation going forward into the future. Karen deals with all types of medical cases, but particularly represents Claimants in cerebral palsy and other birth injury cases and brain injury cases. She has been praised for her direct approach being able to explain complex medical terminology to Claimants and make them feel at ease when going through a very difficult and traumatic process. Her aim is to take away the stress of seeking compensation at what is very often an emotional and disturbing time. Karen is accredited by the Law Society as a clinical negligence specialist and by AvMA the specialist charity dealing with medical accidents. Karen is listed as a Recommended lawyer in the Legal 500 (2019 Edition). Karen achieved a £3.5 million payout comprising of a lump sum together with yearly payments for life for a young woman who had most of her bowel removed as a result of the Defendant’s negligence. They had failed to appropriately diagnose and treat her bowel obstruction. The money will go to providing for her future care, suitable accommodation and aids and equipment. Won a liability trial in August 2016 regarding a Cerebral Palsy claim – now quantifying. Settled a claim for £110,000 arising from GPs’ misdiagnosis of cardiac problems as indigestion. Unfortunately the patient later died. Successfully settled a claim arising from negligently performed knee replacement surgery at the Barlborough NHS Treatment Centre. The claim was settled for £100,000. Settled a claim regarding a delay in diagnosing spinal abscess in an elderly patient, resulting in paralysis. The claim was settled for £700k. A claim settled for £180,000, regarding a delay in diagnosing and managing anastomatic leak. This was after major bowel surgery and the client developed necrotizing fasciitis. A claim settled for £230,000, regarding a delay in diagnosing and treating Cauda Equina Syndrome. Quantified a claim and settled in the sum of £1.6 million. The claim regarded negligence during cardiac surgery, leading to amputation of the Claimant’s feet and two separate brain injuries. Karen proceeded to split trial on liability and won. Karen acted on a Cerebral Palsy claim and agreed a 50/50 split on liability. The claim was settled for a lump sum payment of £1 million, plus periodical payments of £80,000 per annum. Karen acted on a case regarding a failure to appropriately manage CSF leak after brain tumour surgery. The claim was settled for £728,000. The Claimant broke his leg and the mismanagement of the fracture and delay in diagnosing and treating an infection led to an above the knee amputation. The claim was settled for £880,000. Karen settled the case for family of patient for £180,000 who died after bowel damaged during ovarian surgery. Karen is now quantifying a Cerebral Palsy claim., with an agreed 80/20 split on liability. Karen regularly represents parents whose children have suffered cerebral palsy or brain damage as a result of negligent care during their birth. In the last 12 months Karen has brought to a successful conclusion four cerebral palsy cases where we were dealing with liability only. She is now moving forward to quantify those cases. One of those cases was the case of Webster v Burton Hospitals NHS Foundation Trust, where she succeeded in the Court of Appeal in overturning the original decision made at first instance. This has now set new case law dealing with the issue of consent and has been a widely reported and important case. Karen is investigating a number of cases involving the delay in diagnosing and treating meningitis. At the present time she is conducting a serious case involving the failure to appropriately diagnose and treat meningitis in a teenage boy. She has already succeeded in obtaining some admissions from the Defendants. Roger Bainton clinical negligence update: Have you been affected? “‘Fantastic’ Karen Reynolds specialises in obstetrics, gynaecology and severe birth injury cases and is praised as “down to earth, highly intelligent and willing to goes the extra mile”.